Holding a cat close, listening and feeling the quiet thrum of a purr, is a simple pleasure that only cat owners know. It’s no different to the dog owner opening their front door after a long day to find a four-legged being, positively quivering with excitement at seeing them again. An animal’s ability to love unconditionally is the reason cats and dogs have been used in recovery and therapy in hospitals, aged care homes and with children for so many years. There is evidence that shows the purr of a cat can lower blood pressure and stress levels in humans, and that playing with dogs releases feel-good chemicals in the brain, such as dopamine and oxytocin. Oxytocin is the chemical that helps us bond with others and in settings where friends or family might be out of reach, it’s the pat of a dog that fills the void. This week on Pets-A-Loud Kevin and Dr Alan talk about the benefits and impacts therapy animals continue to have in a range of clinical settings, from physical, mental and developmental disabilities. Dogs and cats do a stand out job at working with children with developmental difficulties, as research has shown that having a non-judgemental audience allows children to gain confidence and take initiative. And it’s no secret that sometimes there is no better medicine than a good laugh, which pets are guaranteed to offer. 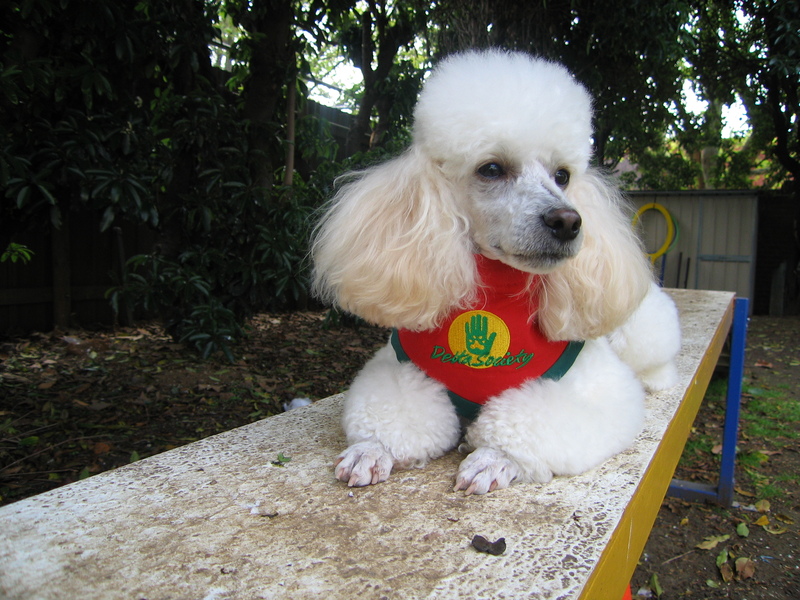 On Pets-A-Loud this week, Kevin catches up with Cas about her poodle Teddy, who spent many years visiting patients in hospital and helping them with their recovery. Volunteer Coordinator Elena also talks to us about running a program at the Home that pairs up those living with disability and our shelter dogs, with remarkable benefits for both parties.